A group of KIPP Kirkpatrick Elementary School students are running back and forth between adults holding a green circle, yellow circle and red circle. The adults are graduate nursing students from the Vanderbilt University School of Nursing, and they’re quizzing the KIPPsters on their newfound knowledge about asthma. “So what do you do if you feel like your chest is a little tight?” asks Kiara Franco, a first year nursing student. “You go and play!” This group of first graders sprint back to the green circle. Because green means go. 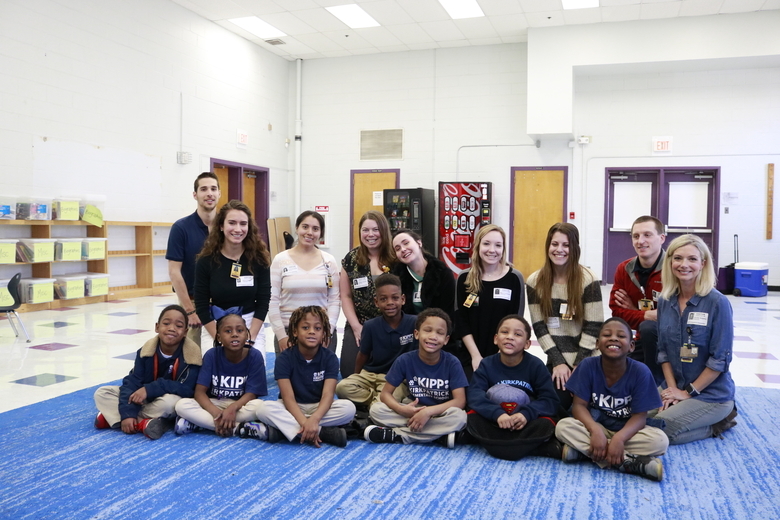 Students from the Vanderbilt University School of Nursing with KIPP Kirkpatrick first graders. 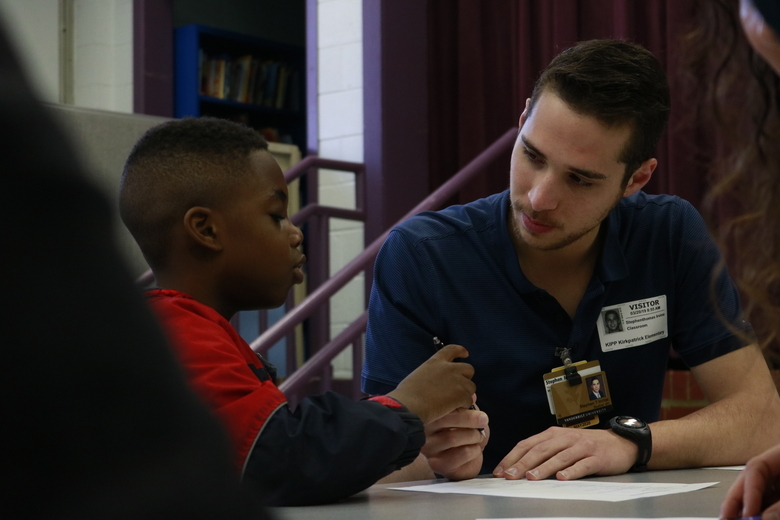 This is the second year students have run the Green Means Go program at KIPP Kirkpatrick as part of the Community Health Course at Vanderbilt University School of Nursing. Program instructor and Pediatric Nurse Practitioner, Jennifer Ridgway, explains, “The goal of the program is to teach children to monitor their own asthma symptoms and for them to be able to tell an adult when they need intervention. About 19 percent of KIPP Kirkpatrick’s students have asthma and have participated in the seven-week long program, which includes lessons and tutorials that make learning about asthma fun. It’s community partnerships like this that KIPP Nashville’s Medical Director, Dr. Andrew Abreo, says can make a real difference in schools. A’leigh, a first grader says she’s learned a lot over the past few weeks. “I learned about some things that can make me feel sick, like a furry dog or curtains that are dusty,” she says. Maybe most importantly, A’leigh says she now recognizes when she needs to find an adult and get help.